Rug Hooking: Necessity, Art Form, or Both? Ask a fiber artist why they do what they do, and you're sure to get a lot of different answers. It can be a stress reliever, a fun challenge, a form of self-expression, or a way to create useful objects for everyday use, among many other reasons. 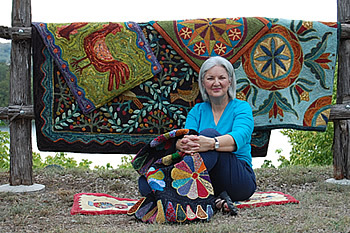 The discipline of rug hooking has historical roots in necessity; for example, in the United States in the 1800s, rugs were made out of scrap materials as a way to reuse old clothing and blankets. The resulting rugs were then used on the floors in the summer and on beds in the winter for added warmth (source: woolkeepers.com). Interestingly enough, there is evidence that the Vikings may have used rug hooking techniques which they then introduced to the British Isles (for more on this topic, click here). 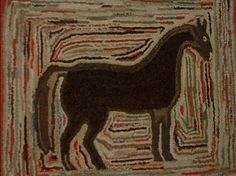 However, the origins of modern rug hooking are generally traced back to New England and Northeastern Canada. 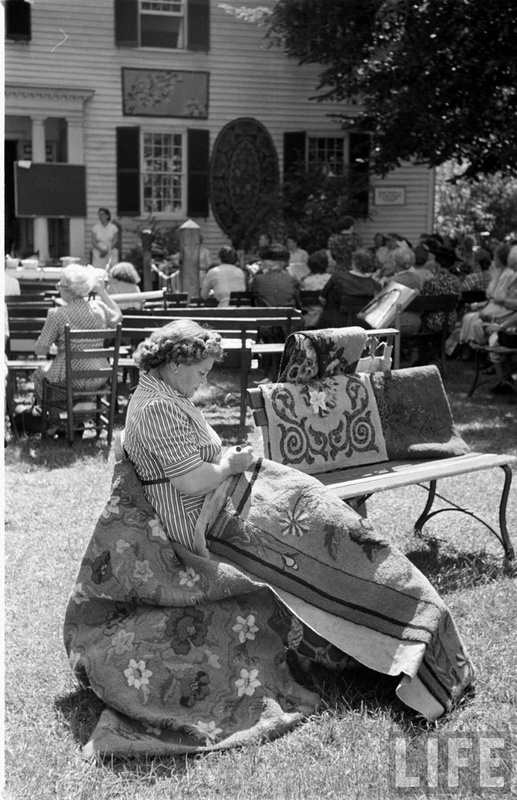 Wikipedia notes, "In its earliest years, rug hooking was a craft of poverty. The vogue for floor coverings in the United States came about after 1830 when factories produced machine-made carpets for the rich. Poor women began looking through their scrap bags for materials to employ in creating their own home-made floor coverings. Women employed whatever materials they had available." This isn't to say that the results weren't eye-catching or artistic, of course, but it wasn't til the 21st century that decorative rug hooking really caught on in the United States.